We suggest using Goal Tags to organize Goals around major initiatives. For example, if a company is expanding into Europe (which can be very cross-functional in nature), Admins can create a tag titled ‘European-expansion’. 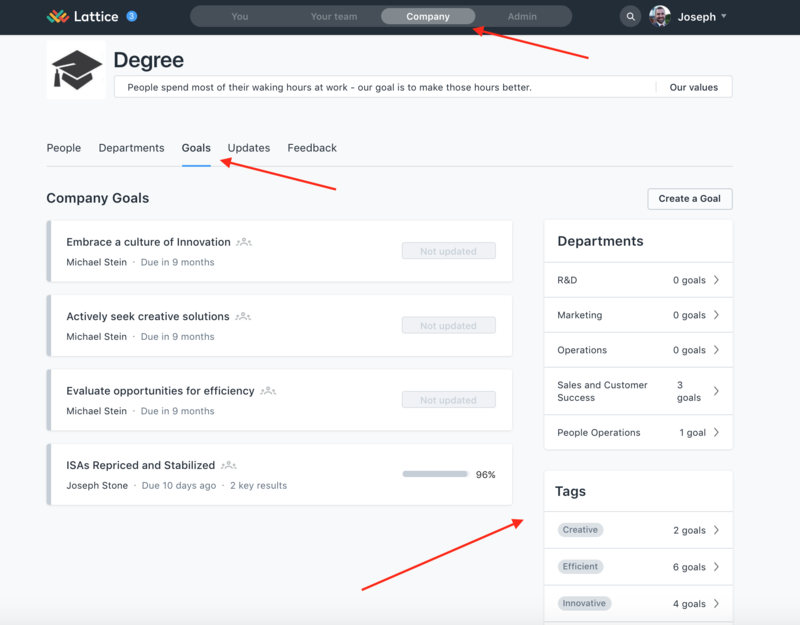 Then, when an employee is creating a goal, they can add this tag to their goal and everyone will be able to see that their goal is aligned with a larger department or company objective. Step 3: Click on "Tags" under "Goals"
Step 4: Create a new tag by typing that tag in the bar and pressing "enter/return"
**Only Admins can create Tags. Managers and Individuals cannot create Tags. 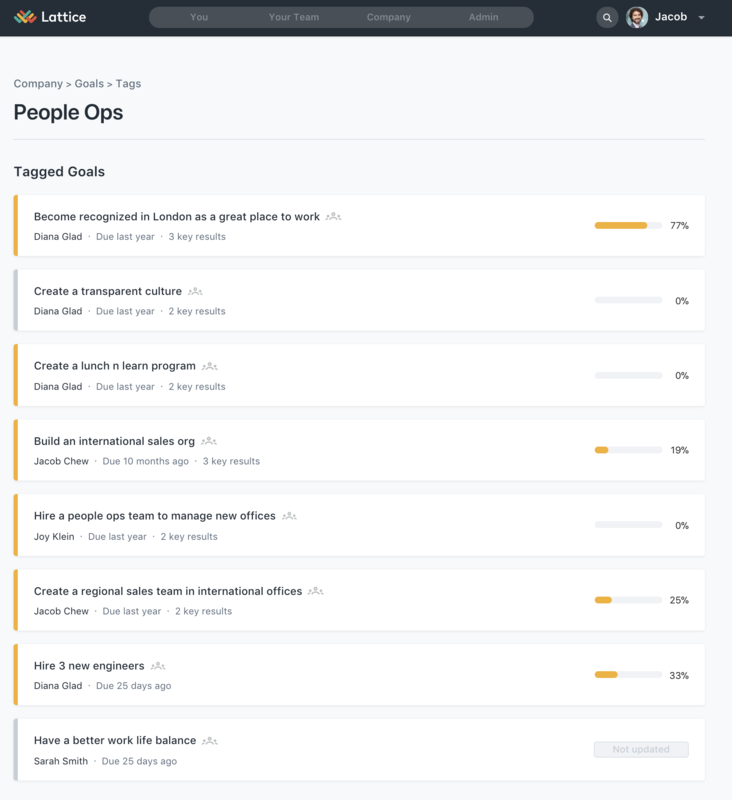 Once tags have been added to Lattice, employees will be able to choose from the list their admins have created, when they are creating goals. **Joseph is a department head which is why he has the ability to create a department goal as well as an individual one. After goals tags have been created and are in used, they will be grouped on the "Company" page in the Goals section. If you have any questions about tagging, feel free to reach out to us at [email protected]!